Price listed is for three ounces of glass beads. 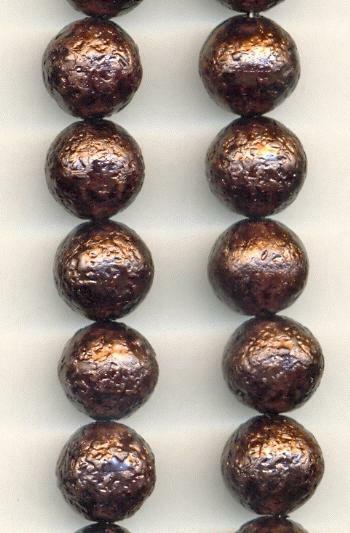 These are approximately 12mm bronze textured glass beads. The holes measure about 0.89mm. There are approximately 42 beads in three ounces. These beads vary in size and may vary in color from a brown copper to a red copper with most of them being the brown copper.